The Revolutionary Armed Forces of Colombia (FARC) and a new generation of drug gangs (known locally as “Bacrims”) are increasingly turning to gold mining to finance their terrorist acts, confirmed Colonel Hector Paez, acting director of the country’s rural police division. In an interview with Bloomberg last week, Paez said that current profits from illegal gold mining are five times greater than returns from cocaine for rebels groups operating in Colombia. “A kilogram of cocaine can sell for about 2,570 in the Colombian jungle, while a kilogram of gold can fetch 19 times that, or similar to global market prices,” Paez was quoted as saying. Gold, which dropped below $1,300 an ounce for the first time since September 2010 in New York last Thursday, has become Colombia’s main export after oil and coal. 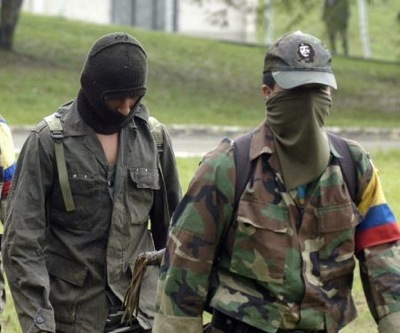 Since the Colombian government and FARC representatives began face-to-face peace talks in November 2012, those who live in the areas controlled by the rebels have been following the negotiations closely. The country holds vast and, until now, untapped natural resources of coal, gold, silver and oil. The government has been taking a number of measures to boost the sector, which currently accounts for only 2% of Colombia's economy. However, much of these are in areas where the FARC not only has a strong presence, but keeps tightening control over mining activities, as MINING.com reported in December. President Juan Manuel Santos has vowed to make it easier for explorers to acquire legal permits, but there are still at least 6,000 mines in Colombia currently considered illegal, according to a report by Insight Crime. The Parliament is set to discuss a bill that aims to make illegal mining a crime punished by the country’s Penal Code. Experts say these actions could be key to weakening rebel’s hold on mining, as it would grant miners the means to report extortion without fearing terrorist or legal consequences.